In 1921, the pioneering sexologist Charlotte Wolff described her young friend Walter Benjamin as a man with a face made for radio. “The rosy apple-cheeks of a child, the black curly hair and fine brow were appealing,” she wrote, “but there was sometimes a cynical glint in his eyes. His thick sensuous lips, badly hidden by a moustache, were also an unexpected feature, not fitting with the rest. His posture and gestures were ‘uptight’ and lacked spontaneity, except when he spoke of things he was involved in or people he loved.” In short, he liked when people could hear him, but he wasn’t much to look at. Nor did Benjamin have much interest in seeing others. Susan Sontag, who called him “almost handsome,” spun a whole essay out of his unsociable demeanor. In his later years, Benjamin recalled the way the telephone flourished in the homes of his peers, the first generation to grow up with the new tool. “It became a consolation for their loneliness,” he observed. “To the despondent who wanted to leave this wicked world, it shone with the light of a last hope.” Is it really any surprise that not long after another technology, the radio, was introduced in Germany in 1923, the homely critic and scholar, guarded but talkative, began telling stories on the airwaves? By Walter Benjamin; Lecia Rosenthal, ed. ; Jonathan Lutes, trans. One Monday afternoon in 1930, Benjamin brought his sensuous lips close to a microphone in a Berlin radio station and told an audience of adolescents and some adults about an artist named Theodor Hosemann. A dimly remembered painter of the 19th century, Hosemann illustrated street scenes in Berlin: a dandy in a top hat absorbed in a newspaper, workers laying pipe for the city’s first streetlights, a woman leaning into a carriage for a kiss. The broadcast focused on laborers—“the common people,” Benjamin called them—and on Hosemann’s encounters with lithography, a recent invention that let the artist quickly and cheaply print his scenes in books small enough to carry in a pocket. Their size made them easy to conceal from government censors on the lookout for subversive messages that even illiterate “common people” might see. In many ways, Benjamin and Hosemann, the two Berliners, led very different lives. Hosemann never traveled far and was buried in the city; Benjamin never stayed anywhere for long and, in 1940, after a failed attempt to escape Europe, took his own life near the French-Spanish border. But the world around them churned in a similar way. They both witnessed the calamities of war, the glimmer of democracy extinguished by censorship, and the ascent of new technologies to reproduce art and information. The thinkers of their day pondered similar questions: Should one address only the headline events of history and high culture, battles and coronations? Or was it OK, thanks to the flow of words and pictures from mechanized news outlets, to lean back on the divan and enjoy the urban adventures of pipe layers, too? Most accounts of Benjamin’s life paint him in a historical tableau, a tragic hero caught in the battle between continental Europe’s bohemian intelligentsia and the fascism that ultimately crushed it. They don’t bother to fill in the ground-level culture, Benjamin’s everyday work, his idle fascinations. Howard Eiland and Michael W. Jennings, whose Walter Benjamin: A Critical Life is the most comprehensive biography of the melancholy writer to appear in English, devote many pages to his more mandarin texts for scholarly readers—and even quite a bit of attention to his romantic entanglements and predilection for collecting old toys—but they skirt his more pedestrian radio broadcasts for a popular audience. In considering his legacy, Benjamin himself dismissed the importance of these broadcasts, even though, as Eiland and Jennings point out, when he considered other intellectual figures like Heinrich Heine, mostly known for his poetry, he would take the contrary route and focus on their more prosaic interests (literary journalism, in Heine’s case, a form that he helped popularize in the 19th century). The Zionist historian Gershom Scholem, who knew Benjamin as a fellow student and would later edit collections of his writings, noted after his friend’s death that the broadcasts for children “contain sediments of his decidedly original way of seeing.” Luckily, despite their author’s dismissal, most of the radio transcripts survived, hidden in various archives, and are now available in English translation in the recently published Radio Benjamin. There is much to hear, and to see. Benjamin’s six years on the airwaves were the only time he worked with technologies that he believed could have revolutionary potential. He wasn’t alone in this idea, even if not everyone shared his optimism. In 1927, the year of his first broadcast, the US Congress passed a bill intended, as the media historian Mark Goodman argues, to guard against the possibility that radio could be used to stoke social upheaval or to “monopolize opinions.” Benjamin acknowledged the dangerous conformist tendencies of the new platforms, but he also noted, with varying degrees of enthusiasm, that they made certain philosophical truths more apparent. In his most famous essay, “The Work of Art in the Age of Its Mechanical Reproducibility,” he explained that by making art from bits of debris like subway tickets and cigarette butts, the Dadaists had tried to achieve “the effects which the public today seeks in film.” In both media, rearrangements of the fragmentary experiences of modern life were rendered a little less alienating. A factory worker who only tightens bolts on an assembly line might lose sight of how the widgets are made. A scene of Charlie Chaplin writhing through all the machinery at least dramatizes the greater process and reveals the existential messiness of his labor. When the audience laughs instead of cowering, Benjamin suggested, it’s a small act of revenge. Benjamin scrambled to figure out how to bend new technologies and their effects to his intellectual purposes in a culture where they had become indispensable. Going to the movies, Benjamin argued, potentially fostered the class-consciousness that Karl Marx said could be built on the factory floor. In the cinema, it was the consciousness of a mass of people staring at the same images. These masses, too, were getting bigger. Between the beginning of the Industrial Revolution in the 1700s and the start of the 20th century, the number of Europeans more than doubled. Tenements went up, and the sewers beneath them swelled with waste. Writers from Balzac to Baudelaire sought to understand these new masses, identifying different city-dwelling types—clerks, civil servants, street urchins—as a way to lend distinct faces to the crowd. Novelists and poets also crafted characters who embodied the wariness that many felt when confronted with the growing hordes. In Charles Dickens’s A Christmas Carol, published in 1843, Ebenezer Scrooge is told of the poor who will die if they don’t receive charitable aid and applauds this “decrease” in the “surplus population.” The anxiety festered into the 20th century, but the attitude had evolved. Political leaders now dreamed up sophisticated ways to control the rabble, using Bugs Bunny and Triumph of the Will to direct their attention and motives. In a four-panel cartoon from 1933 by the satirical illustrator O. Garvens, Adolf Hitler regards a sculpture of people wrestling with one another, a kind of metaphor for the intractable struggles of democracy. As a horrified intellectual looks on, Hitler smashes it with his fist and reshapes the clay into a single muscular citizen. It seems possible that Benjamin would have been at ease in a world of Twitter mobs and TV recaps. A good philosopher, he thought, can make use of this kind of synopsizing and criticism as a springboard to leap toward the truth. Benjamin may also have thrived with a smartphone in his hand. Sociologists like Sherry Turkle often bemoan the hives of isolated people who keep in touch through Facebook and text messages instead of looking each other in the eye; but Benjamin, when he was feeling cheerful enough, loved communicating with large, like-minded audiences about as much as he enjoyed being alone. Benjamin lived on the rim of what Columbia University law professor Tim Wu calls “the Cycle.” Every new information technology, whether it uses radio waves, telegraph wires, or Ethernet cables, passes “through a phase of revolutionary novelty and youthful utopianism” and ends up “a highly centralized and integrated new industry.” Benjamin scrambled to figure out how to bend new technologies and their effects to his intellectual purposes in a culture where they had become indispensable. Near the beginning of his life, and at many points along the way to his untimely death, he worried, as some of us do, about whether the trade-offs inherent in the Cycle wiped out too much and preserved too little. At times like these, he usually fell to ruminating, not on history as a parade of events, but on something less fixed: constellations of the present and the past. The philosopher, as a little boy, hated going to school. “A mob of school children is among the most formless and ignoble of all masses,” he recalled. Benjamin preferred to stroll the city streets with his mother and absorb the panorama of Berlin’s transformation: horse-drawn carriages retired in favor of automobiles, department stores erected and old Prussian houses brought down, the collapse of the Second Reich and the rise of the Weimar Republic. “Nothing remained unchanged but the clouds,” he wrote. That denial didn’t stop Benjamin from moving swiftly to the forefront of the German education-reform movement the following year, even as his nervousness around groups persisted. He was called to speak in the fall of 1913, and Scholem noticed from his seat in the crowd that Benjamin “delivered his absolutely letter-perfect speech with great intensity to an upper corner of the ceiling, at which he stared the whole time.” Despite his shyness, the attention he received for his thought was addictive. As the president of the Berlin Independent Students’ Association, he gave a talk on the importance of developing a cultured community that would stand up for the masses of the poor. Benjamin’s future wife, Dora Sophie Pollak, was overcome with emotion and rushed forward with a bouquet of roses. Benjamin sought romance with a zeal—in intellectual circles, brothels, and among his friends’ partners—but Dora and others who knew him intimately regarded the philosopher as a kind of brain only fitfully attached to his body. “All disgust is originally disgust at touching,” Benjamin wrote in his book of essays, One-Way Street. At the outbreak of World War I, two of his friends committed suicide and Benjamin fell further into himself. He broke with the youth movement, faked illness to avoid conscription, and hid away in Switzerland with Dora until his country surrendered. By the early 1920s, Benjamin had shed even the pretense of the populism he had championed before the war, declaring that he wanted to convey “how impossible it is in our age to give voice to any communality.” But despite isolating depression and financial hardship, his misanthropy would soon thaw, thanks to new relationships. He met thinkers like Siegfried Kracauer, an aesthetic philosopher who, along with Benjamin, would help turn pop culture into an area of serious study, and Asja Lacis, a Soviet intellectual from Latvia who put her leftist energies into children’s plays. Benjamin first encountered Lacis on the island of Capri, where he spent six months in 1924 sunbathing with his colleagues. He watched her from a distance for weeks, waiting for her husband to leave the island. As she tried to buy almonds from a local shop, he made his approach and clumsily helped to carry her groceries back to her house. Still married to Dora, who remained in Germany, Benjamin fell in love with Lacis and doggedly pursued her for the rest of the decade. Under her sway, his affinity for the masses started to resurface. He even made his way, unannounced, to her doorstep in Latvia, where he found Lacis putting on her plays. After one particularly subversive performance, the unruly audience nearly crushed Benjamin before he managed to scramble onto a window ledge. Lacis, as Eiland and Jennings write, “recollected that the only thing that had pleased him about the play was a scene in which a gentleman in a top hat chatted with a worker under an umbrella; in which direction Benjamin’s sympathies may have run during the scene,” they add, “is a matter of conjecture.” This snide denouement to the story—suggesting that Benjamin favored the aristocrat over the plebeian—is typical of the way that Eiland and Jennings comment on the philosopher’s life, advancing the notion that he was a pinkie-out patrician at heart. But to judge from his writings and the preponderance of details that the biographers themselves unearth, Benjamin probably favored the scene because two worlds had come together. He often wanted to be isolated physically, but he hated isolation conceptually, whether it was in the artistic media, on an assembly line, or among classes. In other words, his sympathies likely ran both ways. Benjamin’s avant-garde friends, many of whom he’d met through Lacis, rode on waves of Futurism, Dadaism, and Surrealism, and they nurtured in the young philosopher a taste for the 19th-century detritus—­shop signs, skin-lotion ads, old dolls, train sets—that he eventually came to believe could yield philosophical insight. Always restless, Benjamin collected these objects as he explored Europe in the sunset of its industrial age. Everything solid inspired him. In 1925, lying on the deck of a ship, he listened to the cranes unloading cargo and called it “the modernized ‘music of the world.’” The following year, in December, he went to Russia and saw a country deeply enmeshed in the Soviet experiment. “Each thought, each day, each life lies here as on a laboratory table,” he observed. “Employees in their factories, offices in buildings, pieces of furniture in the apartments are rearranged, transferred, and shoved about.” The Bolshevik Party, dissecting every activity for social tinkering, let private life dry up. “In this ruling passion,” Benjamin wrote, with typical ambivalence, “there is as much naive desire for improvement as there is boundless curiosity and playfulness.” He walked the icy streets of Moscow, keeping his eyes on his footing as people pushed one another to get by. On the radio, Benjamin found a place to trade ideas with the world without physically interacting with anyone in it. Benjamin had a fondness for travel and meeting new minds, but in the ripening world of literary journals and, especially, new mass-media technologies like radio and film, he found a place to trade ideas with the world without physically interacting with anyone in it. “In themselves these offices, furnished rooms, saloons, big-city streets, stations, and factories are ugly, incomprehensible, and hopelessly sad,” he thought as he took refuge from the Russian winter in the movie theater. “Or rather, they were and seemed to be, until the advent of film.” On the editing-room floor, all the isolated corners of Russian life could mix. Quick cuts playfully responded to the coldness of Soviet science. Later radio stories appear to reflect Benjamin’s growing sense of the impending catastrophe about to swallow Europe. In 1931 and ’32, Benjamin recounted the volcanic eruption that smothered Pompeii, the 18th-century earthquake that destroyed the capital of Portugal, and the decision to flood the land of poor farmers in the Mississippi River Valley in order to save the port city of New Orleans. His turn toward disaster might also have been spurred by the financially and emotionally ruinous outcome of the divorce proceedings he initiated against his wife in 1929—part of a failed attempt to improve his relationship with his Soviet girlfriend. The court awarded Dora his entire inheritance. Benjamin drafted suicide notes to his closest friends, but he never sent them. On January 29, 1933, in his final broadcast, not long before he would leave Ger­many for the last time, Benjamin described his childhood in Berlin. “The next day,” Lecia Rosenthal writes in the introduction to Radio Benjamin, “Hitler was appointed chancellor, and the Nazi torchlight parade was sent out over the airwaves as the very first nationwide live broadcast.” Book burnings began, and there were boycotts of Jewish businesses, but almost equally horrifying to Benjamin, his contacts in the literary and journalistic world started to fall away. His career as a radio broadcaster ended. You can almost hear Scrooge lifting his gray head and muttering that something must be done about our surplus population of ideas. Many people today think we are drowning in ideas, ones that, whether intended to entertain or critique, are derivative or poorly considered. Now and again, spats break out over the dreaded “think piece,” which draws together whatever a few fellow journalists have discussed on Twitter the night before and, with a smattering of light reflection and a dull historical point or two, pretends to insight. Our thoughts are shallow and gasping for breath, our attention spans brutally short. Experts seem to have disappeared, because Google and Wikipedia feed the illusion that everyone sits one web search away from becoming perfectly informed on anything. Our potential Kafkas are too distracted or deluded to pen their subtle denunciations of modernity. You can almost hear Scrooge lifting his gray head and muttering that something must be done about our surplus population of ideas. The arc of Kraus’s media derision loosely follows the progression of our attitude, toward journalistic culture in recent decades. In much the same way that the mock newspaper The Onion spawned the mock website ClickHole to deride the sudden dominance of listicles and think pieces, Kraus, in the words of Ohio State professor Paul Reitter, “went from being a journalist against journalism to being a literary journalist against literary journalism.” He argued that the only thing worse than believing in fair and balanced reporting was believing that impressionistic journalism, with its literary flourishes and philosophical trimmings, was any better. Journalism was too topical, too hurried, too fettered by power for genuine thought. 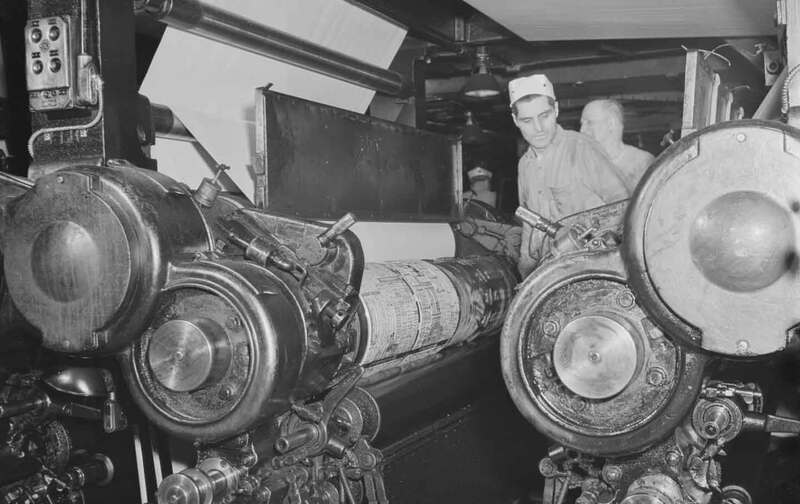 At certain times of day—twice, three times in the bigger newspapers—a particular quantity of work has to have been procured and prepared for the machine. And not from just any material: everything that has happened in the meantime, anywhere, in a region of life, politics, economics, art, etc., must now have been reached and journalistically processed. To this Benjamin adds that every trifling bit of cultural writing “poses anew the insoluble question of the relationship between the forces of stupidity and malice, whose expression is gossip.” Kraus felt smothered by the empty phrases and low blows of cultural journalism. His solution was to mock them: He often merely culled and quoted newspaper headlines and sentences that appeared ridiculous under the slightest examination. Benjamin admired the impulse to pull the baser elements of these everyday observations out of their native context, but not for the same reasons that Kraus did. As the 1930s progressed and Nazism performed a kind of cultural culling of its own, Benjamin would begin to explain why. Media glut and anxiety about it are not any more unique to our age than they were to the information culture of Weimar Germany or high-brow Vienna. In the fourth century bce, Plato tried to define his perfect city not long after the spread of writing in Athenian society. Good poets could stay, the philosopher suggested, but the “imitative” ones had to leave. Similarly, in the early 17th century, 100 years after the ascent of movable type, Cervantes satirized the way that the piles of poorly written chivalric romances produced by the thriving Renaissance publishing industry could corrupt the mind of an idle person like Don Quixote. But he also pilloried the seeming judiciousness of those who thought that life would be better if only these books were done away with. In an early chapter, Don Quixote’s neighbors, a priest and a barber, build a fire to destroy his vast library. But they reject the idea of burning everything and start going through the volumes one by one. The first Spanish book of chivalry is spared (“as a unique example of the art, it should be pardoned”); a series of others, for their “perverse and complicated language” and unbelievable characters, are consigned to the flames (and “I would burn along with them the father who sired me if he were to appear in the form of a knight errant,” the priest adds). In A Christmas Carol, the Ghost of Christmas Present admonishes Scrooge: “Forbear that wicked cant until you have discovered What the surplus is, and Where it is. Will you decide what men shall live, what men shall die?” For Benjamin, in a time of Nazi book burnings but before the horrors of the Holocaust, when Jewish intellectual life, as Reitter points out, was under attack as an excess that corroded and impeded civil progress, a similar challenge could have been issued to those like Kraus—overwhelmed by the growing din of literature and thought—who wanted whole kinds of writing not to exist. But Benjamin still found something to appreciate in the bleaker side of modernity. Just as the balm for the oppressiveness of industrial life seemed to gestate first in esoteric art and later in popular media—what came into relief at the hands of Dadaists later appeared, as Benjamin wrote, “in a more natural way” in Chaplin films—a similar response arose to the slings and arrows of mass media. Benjamin, like Kraus, suggested the practice of quoting fleeting ideas from the mill of academic and journalistic thinking and presenting them out of context. He especially favored mixing these quotations with his own thoughts in strings of chaotically arranged fragments—or “montage,” as he called it—like his “Theses of History” or One-Way Street essays. But unlike Kraus, Benjamin didn’t intend to discard these quickly forgotten products of the opinion industry, nor did he want to make them seem any more historically relevant than they really were. Instead, he wanted to reveal the violent process by which some ideas linger and others are left behind, to show that what seems pure today will seem muddled tomorrow, and to demonstrate how easy and necessary it is to constellate and reconstellate the present and the past. Fascism saw a future that was held in place by an easily discernible train of events. Benjamin, conceptually at least, wanted to hit the brakes. Arguably, the more “natural” path would not be found until anyone with an Internet connection could collage information on Facebook and Twitter. An author who teaches writers nothing, teaches no one. What matters, therefore, is the exemplary character of production, which is able first to induce other producers to produce, and second to put an improved apparatus at their disposal. And this apparatus is better the more consumers it is able to turn into producers—that is, readers or spectators into collaborators. With the arrival of these collaborators through the avenues of social media, Benjamin inclines us to recognize how something abstract has become concrete. The eerie interplay between what we think of as our authentic selves and our socially defined selves once took the dramatic struggling of a Hamlet to reveal. The sad Danish prince, like a desperate reality star, finds it impossible to remove his “antic disposition” once he puts it on. Now anyone trying to curate their identity through social media can see how the monster they’ve made might turn on them. Film brought the masses and their consumer goods to the surface in a stream of thousands of images. Likewise, the Internet has allowed our masks to emerge in visible form by building its residue out of light on a screen. We realize now, as the stories of lives ruined by Twitter mobs circulate, how our identities have been as much in our own hands as in the hands of others. Benjamin’s resolve that worthwhile truths could be found in technologically mediated experience only grew stronger as fascism dug its claws deeper into Europe. He published the first version of his “Work of Art” essay in 1936, praising certain products of the high-tech entertainment industry half a decade after sneering at technology in his essay on the horrors of fascism. But it wasn’t a sign of progress in Benjamin’s thought; the thinker could sneer and praise at the same time, seeing beauty in what was then useless and, in what had become far too useful, the terror of its importance. Avant-garde films or slapstick comedies, high art or kitsch, profound philosophizing or entertaining radio stories—they all took root in his life and work. Should he study European culture or survive its killing fields? The tragedy was that he had to choose. Neima JahromiNeima Jahromi works on the editorial staff of The New Yorker. He writes about the intersection of culture, philosophy and politics. Born in Charlotte, North Carolina, he grew up in the San Francisco Bay Area and graduated from Reed College in 2009. He was a fall 2010 intern at The Nation. You can follow him on twitter.